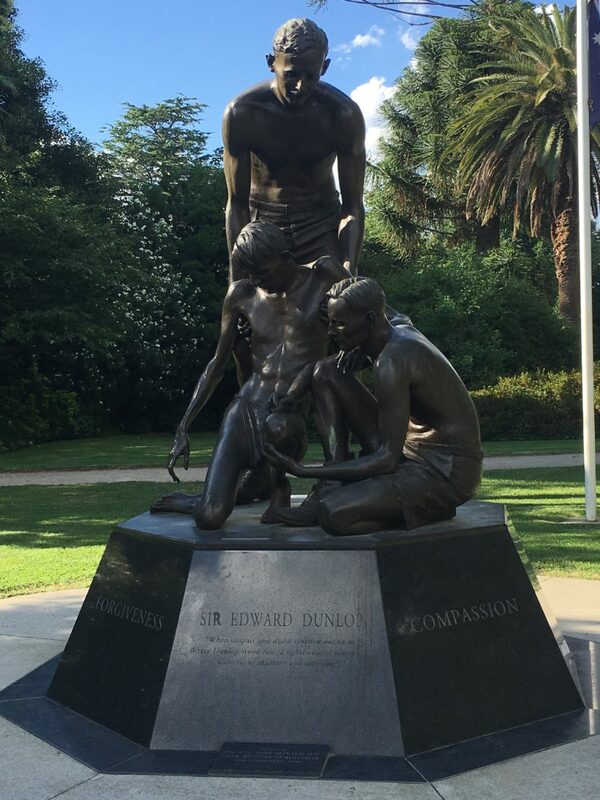 Sir Edward Dunlop is acknowledged as an Australian hero. A man of deep personal integrity. To many he was affectionately known as ‘Weary’. The Weary Dunlop memorial marks the achievements of this amazing a man. Viewing this sculpture is a powerful experience, due in part to its setting, a tranquil site in the Benalla Botanical Gardens.